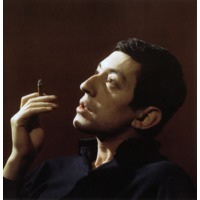 Serge Gainsbourg, born Lucien Ginsburg (French pronunciation: [sɛʁʒ ɡɛ̃zbuʁ]; 2 April 1928 – 2 March 1991) was a French singer-songwriter, actor and director. Gainsbourg's extremely varied musical style and individuality make him difficult to categorize. His legacy has been firmly established, and he is often regarded as one of the world's most influential popular musicians.